BLOG Meet Dr. Antoinette Falco, Guelph Naturopathic Doctor and Doula! Meet Dr. Antoinette Falco, Guelph Naturopathic Doctor and Doula! We’re excited to welcome Dr. Antoinette Falco to the Two Rivers Health team! After working as a naturopath and doula in London, Ontario, we’re thrilled she’s chosen to join us here in Guelph and put down roots together with her fiance, who’s a teacher here. Dr. Antoinette is well-known for her bright, friendly and compassionate approach and is especially good at making children’s health visits comfortable and fun. Dr. Falco is a licensed Naturopathic Doctor, birth doula and natural health enthusiast. 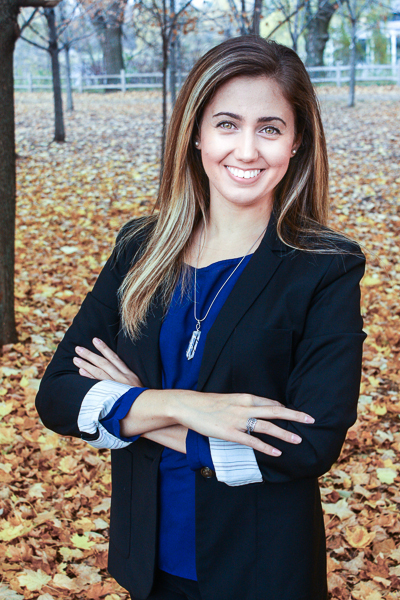 After completing her Bachelor’s degree in Kinesiology at the University of Western Ontario, she graduated from the Canadian College of Naturopathic Medicine (CCNM), Canada’s largest naturopathic medical school. While at CCNM, Dr. Falco completed a one-year pediatrics rotation, receiving additional training in caring for infants, children and adolescents. Children respond well to the safe, gentle therapies of naturopathic medicine, including solutions for eczema, safe infant food introductions, ear infections, colds and coughs, ADHD, autism spectrum disorders, eating disorders, pediatric depression and anxiety. Dr. Falco believes health is one of the most beautiful gifts and we all deserve to have the tools and resources to achieve optimal health. She is passionate about educating her patients, finding the root cause of disease and empowering them to be the absolute best version of themselves. Through the use of natural therapies, including as nutrition, herbal medicine, homeopathy, acupuncture and lifestyle counselling, she is committed to finding an individualized treatment plan that is best for you as well as your entire family. She has experience treating a wide variety of health concerns, and has a special interest in women’s health, infertility, pregnancy and children’s health. As a global health initiative, Dr. Antoinette traveled to Haiti with Naturopaths without Borders to offer Naturopathic Medicine to communities in need. She loves traveling and absorbing as much culture and health practices from each community she visits. In her spare time, she loves cooking, keeping active and going for nature walks with her partner and fur baby! Dr. Antoinette is now accepting new patients. Book Online or Call (519)265-6963 to book an appointment.